For those of you who aren’t familiar with adventureaweek.com, they’ve been putting out Pathfinder adventures for several years now, and have been met with a lot of acclaim and awards. They’ve also started converting some of their adventures from Pathfinder to 5e Dungeons and Dragons, and I got to do one of them. A Learning Time is a 1st level adventure that was originally designed to introduce new players and GMs to the Pathfinder Roleplaying Game, and is the first in a series of connected adventures. The 5e version does the same thing but for that system, and I got to do the conversion on it. It was pretty fun, and really taught me a lot about both systems. Particularly how they handle monster design. 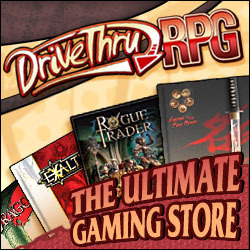 If you’re looking for 5e or Pathfinder adventures, you could do worse than that site. check it out! Artwork: cover art by Tim Tyler and Ramon Lucha, from A Learning Time, by Kevin Mickelson, 2016.